Sorry but I just could not resist being a little punny today. 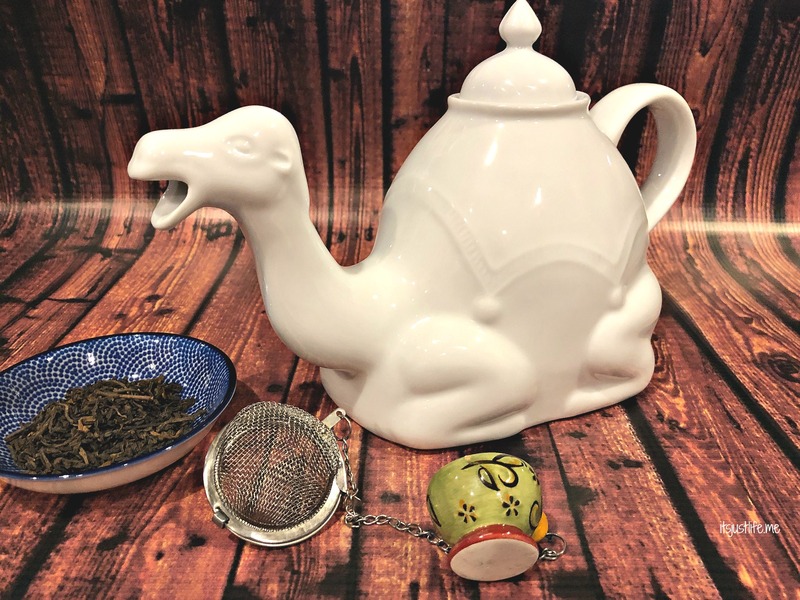 How can I not share a little levity when the teapot I am featuring today is a camel? This lovely teapot came from Pier One or World Market – I can’t fully remember which store but whichever one it was it was the perfect find. 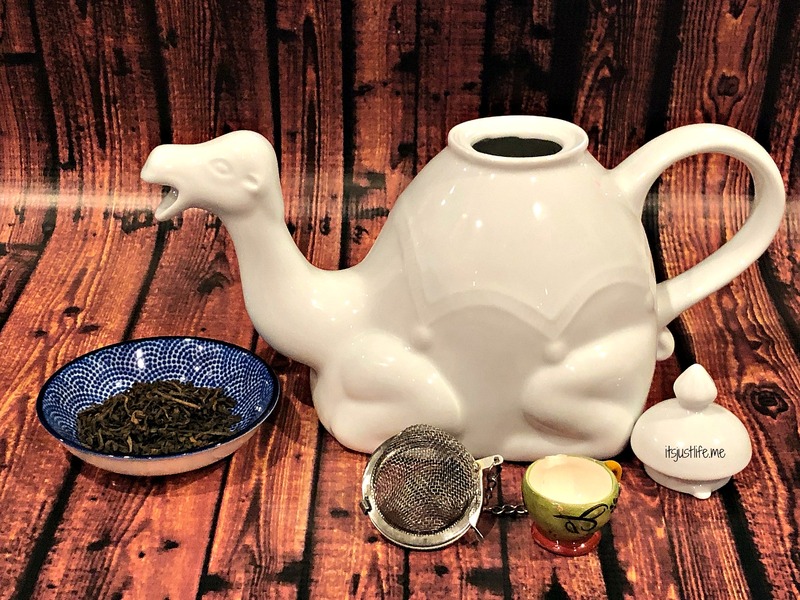 I love the look on the face of this dromedary and it brews up a pretty great pot of tea. Who wouldn’t want a cup of tea cheerfully poured from this guy’s mouth? Hope you have an amazing day and enjoy a cup sometime today. Even without a fun teapot like this it is bound to be the highlight of your day. ← Previous What’s On Your Camera Roll? I have this very same teapot!! A gift from a friend when I published Amanda in Arabia which features Ali Baba the camel. The poem you chose to go with it is perfect!! I am thrilled that we have the same teapot, Darlene, and it is perfect that you have that one for Amanda. It’s definitely a fun one. 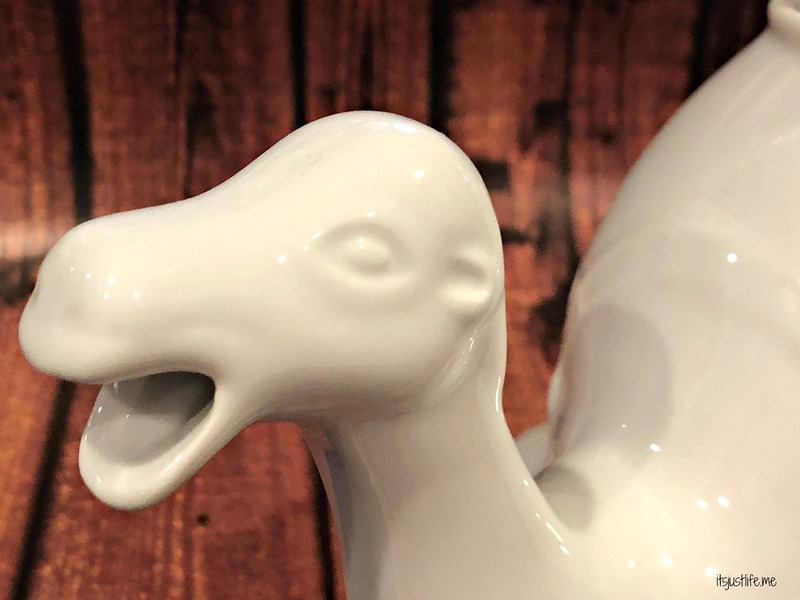 I’ll take no humps, thank you, 😉 but this teapot is fun! And that’s no pun. You are such a poet. You made me smile! Well shoot—that is a great idea! Hump day it is! I love this tea pot!! So cute. It just makes me smile. Thanks, Shirley. He makes me smile as well. Thanks, Priscilla. He is a cutie. I’m a student of Japanese tea ceremony, and there’s a moment when the water is poured over the matcha that you can get an anticipatory whiff of fragrance. That’s what I thought of when I read your poem, being part of a tradition and sharing hospitality. That is a very cute tea pot too! Thanks so much for your wonderful comment. I loved reading your thoughts and that the poem brought you such a wonderful image. Thank you for sharing and for stopping by! Love it. I like that it’s all white but still fun. I mean what is more fun than drinking tea poured out of a camel’s mouth? Isn’t he fun? I mean who doesn’t want to drink tea poured from a camel’s mouth?